The Raiders will be without projected starting cornerback Chris Johnson for their preseason game against the 49ers on Saturday night and might also play without center Samson Satele. Coach Hue Jackson revealed Wednesday that Johnson underwent a medical procedure that will keep him sidelined against San Francisco. 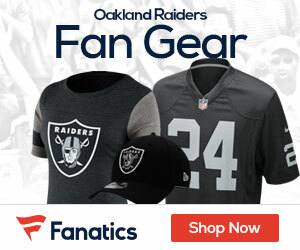 Jackson declined to discuss details of the procedure but added that he expects Johnson to be back in time for the Raiders’ regular-season opener at Denver on Sept. 12. Satele, who had been taking most of the reps with Oakland’s first team offense, left practice early then limped away from the team’s training camp facilities. He got into a van driven by a team employee and was taken to a hospital for X-rays. Additionally, wide receiver Louis Murphy told reporters earlier this week that he’s been slowed by a sore groin and hamstring.